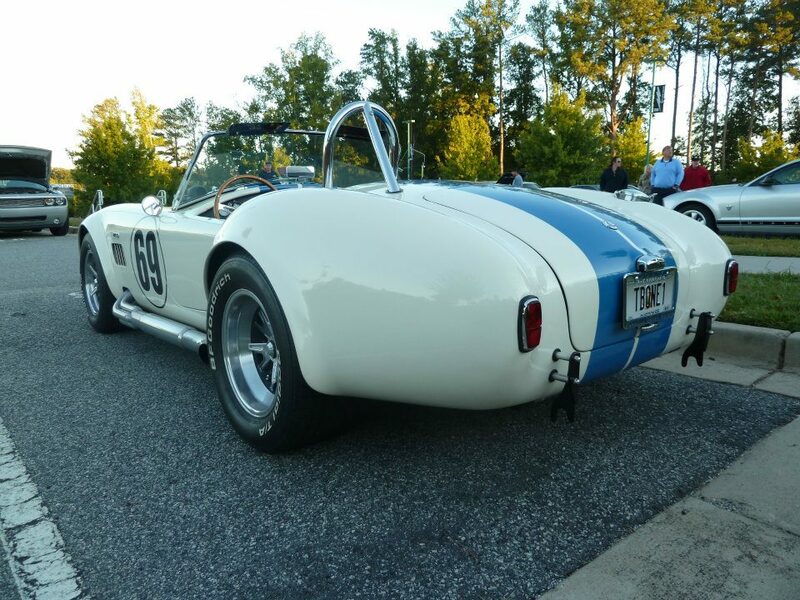 Non-Miata Build Information A place to discuss other V8 projects like your exocet, catfish, or westfield. I have a 1988 Mustang GT that ordered back in 1987 as my first new car. It is a black & grey hatchback with T-tops. Odometer is at 119,000 miles with less that 10,000 miles on the freshened-up engine (in 2004) & T-5 transmission (in 2001). Body is straight & rust free, but is in need of paint. The interior is good, but could stand some new seat covers. This was my daily driver (as a mechanic) for 12 years. I know I have more projects around here than I can get done, but I am always looking ahead to source parts for my next project. What direction should I go with this? When I complete my garage, I will have a nice place to park it. Sell as is? Restore to original showroom quality? 5.0 Coyote swap with 6-speed? Build a turbo car out of it? I think I am leaning towards the restoration. What do you guys think? Last edited by tbone heller; 01-05-2015 at 07:31 PM. Restoration...original/one owner first new car...definitely. I have a 91 green/silver GT hatch in the same boat. Needs paint/interior. Has been modded some. Probably sticking all motor with head/cam upgrade. Like the 03 style seat upgrade from TMI, will probably integrate that when I re-do the interior. Fox stangs are getting harder and harder to find that are clean. I would do like a resto mod car. Factory, but better. I'm helping a friend with his 79 cobra right now. it's got a 5.0 with a little work, t5, lots of maximum motorsports parts, and we are working on filling in some of the holes in the engine bay now. It's all stripped and will be going to paint in a month or so. Fox stangs are getting harder and harder to find that are clean. I think this car may be too nice to chop on. The only modification that would be hard to alter is a set of weld-in frame connectors. I still have all of the original stuff that I have taken off of the car such as the hood, rear spoiler, & exhaust system. The more I look at this, I think it may not be as bad as I first thought. A lot of cleaning goes a long way. LOL ^^ if the first guy that chopped and channeled a model A thought that there would be no such thing as a Hot Rod! It's a car and only a car. Yes it is a good car but still as such it's meant to be driven and enjoyed and it has no value in a museum or just because the numbers match. So as a person who parted out a pretty rare (1 of 6 optioned this way) perfectly good 35th anniversary edition, factory SLP performance package, fully loaded, Camaro SS with 49,000 miles on it to revive a dead Miata I say go watch the movie love the beast and then find a Coyote for it! Last edited by charchri4; 01-09-2015 at 11:10 AM. Love the beast, great movie! I already have 2 cars & a motorcycle that are almost too radical for a normal person to drive as it is. I was kind of thinking that it might be nice to have something "stock", again. LOL! I just remembered that I have an old school Paxton supercharger set-up for it around here somewhere. And some 24# injectors, & a 73mm MAF, & a 9AL processor with conversion kit, & a GT40 intake...DAMMIT, Jim, look what you started! Last edited by tbone heller; 01-09-2015 at 05:06 PM. What a person who has enough toys? LOL OK I had not thought of that but it is a really good point. I can see having a normal car for sure. I still can't figure out why the Mr Miyagi even exists with that Cobra in your garage though! V8 Miata more "daily drivable" than a Cobra. At least for us northerners. Only thing that kept me from selling my NA and buying a Factory Five kit. 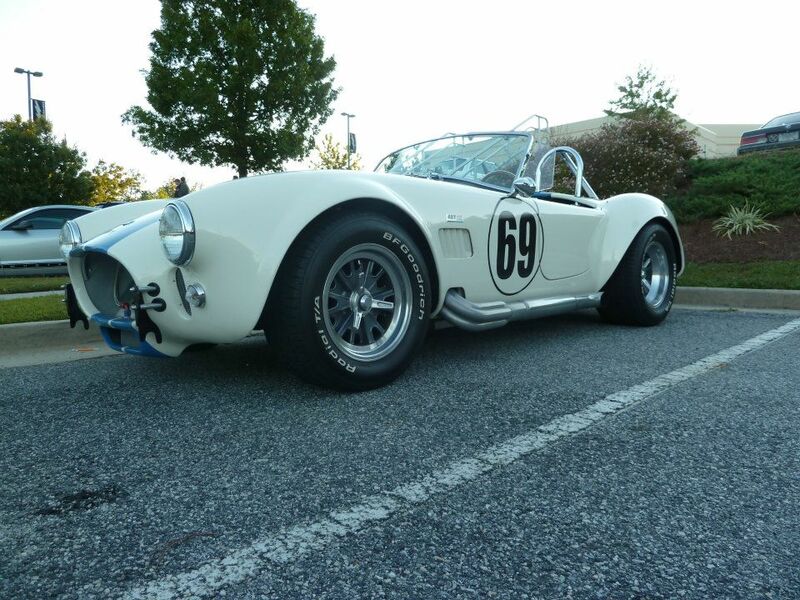 Well yeah I get the whole top, windows and what not but it's a Cobra for gods sake! Who cares about comfort when you can have curves and epic! 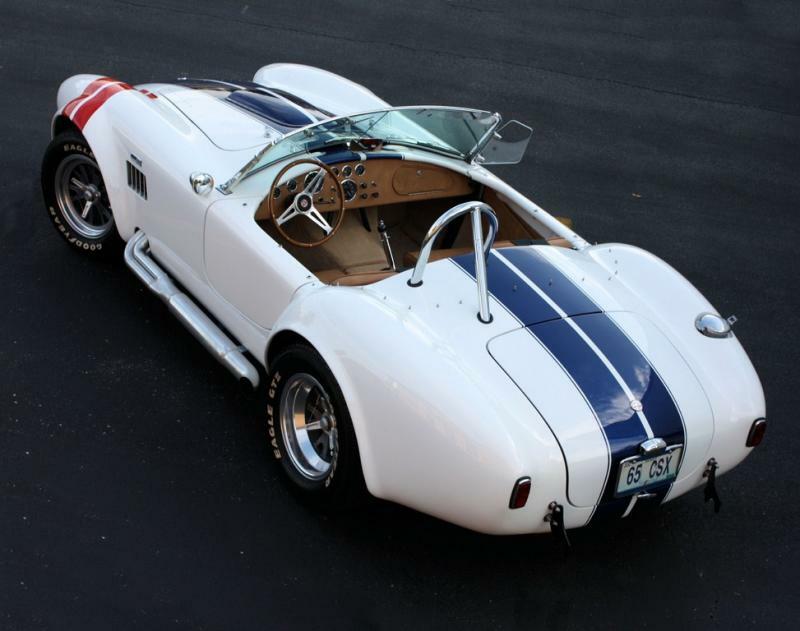 Oh, trust me, I'll have a Cobra before I die. My favorite car EVER! I just don't have enough disposable income in my life to have a car that I can only drive a few hundred miles a year because of the crappy weather here. Same reason I sold my pricey Harley (Night Rod), and ended up with a cheap beater bike. I still can't figure out why the Mr Miyagi even exists with that Cobra in your garage though! You mean this old junk? LOL yep that would be the one! I'd sell the Mustang and use the money for gas in it! Who cares about 10 mpg with an exhaust note like that! I sure wish it got 10 mpg. It is more like 6-7. Ah so there is where you need that Coyote! After sitting outside & untouched since September of 2013, the old Mustang started right up with a little boost from my truck. I even gave her a bath. Drop a fresh bottle of Stabil in the tank, change the oil and filter, fill the tank with premium. Then go run the heck out of it, you'll be amazed what a clean fuel system will make it feel like once all of the stale gas is burned off. I was having the same problem with my 83 convertible GT, when I looked up the numbers I found out it was 1 of 19 - 83 GT's that was shipped to Canada. Not as rare in the US but 1 of 19 here. So what have I done with it??? It sits waiting for me to finish my V8 Miata so I can then commit some time to stuffing a DOHC 5.4 from a lincoln navigator in it. 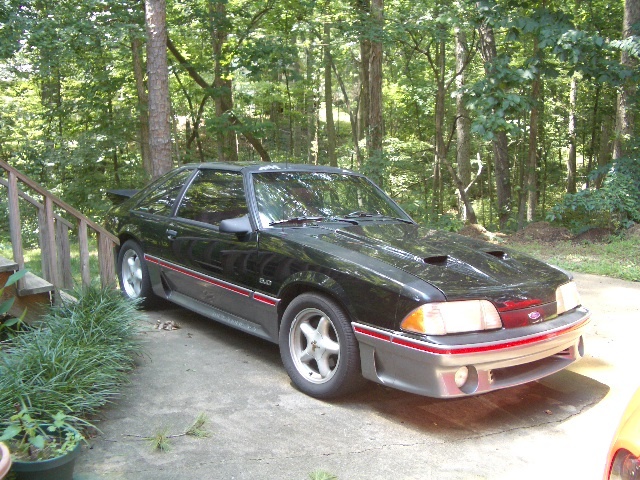 Even if I was to turn it back to stock, I would be able to sell it for what, $3500.00, it is just a fox body after all. I say cut, chop, channel and don't look back, hell I would even cut up a classic big block car to make it more drivable. It's your ride do what you feel is right, but lets be honest, if its not a SVO, Saleen or Shelby it will just be another fox body. Just my thoughts, my problem is not building the car, its selling it after I fall in love with it, ugly sickness, well at least in the eyes of the wife. 1990 V8 Miata with 351w project for sale! Quick Reply: Mustang GT restoration project?